Corbets Group Mothar Mountain Speedway bursts back into action with a very special race meeting on Friday, 28 December 2018, when the Brims Concrete, Ford Wreckers Redcliffe Super Sedan Summer Slam Round 1 will be staged. Over the last couple of seasons, the Summer Slam meeting has been nothing short of spectacular. This season should continue this tradition when the best drivers attack the Mountain again. 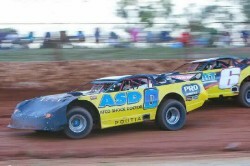 Pascoe and Randall were the only two drivers who are in the line-up to win a Feature Race at the Mountain last season. Twenty six drivers will compete in the opening night of the Summer Slam which will continue the night after at the Archerfield Speedway. 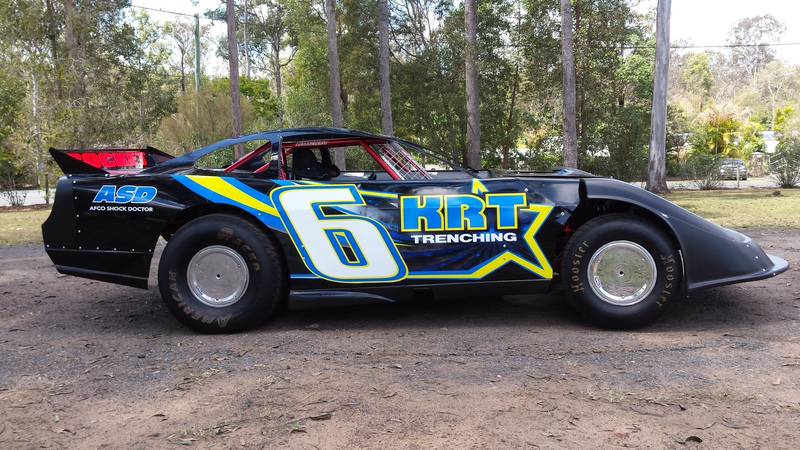 Darren Kane has continued his love affair with the Ian Boettcher Race Parts, Kingaroy Speedway, when he won round five of the BrimsConcrete Super Sedan Series, supported by Barnes Drilling, to continue to have won more main events at the venue in the last five years than anyone else. After Matty Pascoe and Sean Black won the opening round heats, both by a car length, Trent Wilson had a strong victory in heat three with Darren Kane winning heat four by more than half a lap. Matthew Williams and round four winner, Wayne Randall won the final two qualifying heats, to again have six different winners win the six qualifying heats. Darren Kane was the highest qualifier from Matty Pascoe, with Tania Smith the third highest pointscorer. Matthew Williams, Wayne Randall, Gavin Northfield, Sean Black and Trent Wilson made up the top eight, who would then go into the random draw for starting positions in the 40 lap marathon around the showground venue. Gavin Northfield was fortunate to select the number on emarble, while Matty Pascoe was able to draw the outside. Wayne Randall drew position three, with Sean Black starting from position four. Trent Wilson wouldmove to the third row after the marble draw, while Darren Kane was the bigloser out of the random draw and would start from position six, while the fourth row would consist of Tania Smith and Matthew Williams. Matty Pascoe got the best of the opening laps, leading Gavin Northfield and Wayne Randall, but it would not take long for the first caution, which would eliminate Travis Barron, Shayne Lau and Trent Wilson. On the restart, Wayne Randall moved to second place, but this would be short lived, as Darren Kane took second place on lap four, and set out after Pascoe. On lap thirteen, Kanes ascension to the lead was complete, passing Pascoe to assume control of the race. The cautions were required againon lap fifteen, with Justin Randall and Gavin Northfield unable to continue. Behind Kane, Pascoe and Wayne Randall, Matthew Williams had moved to fourth, while Sean Black was in fifth place. Kane and Pascoe put on a classic battle which both have been renowned for, and had opened up a half a lap lead over the remainder of thefield. Black would get the better of Matthew Williams with five laps remaining to move to fourth, as Kane and Pascoe continued to be separated by no more than two car lengths. Kane took the forty lap event and in the process set the quick lap of the race, downing Pascoe, Wayne Randall, Black, Williams and Tania Smith who rounded out the top six. Heat One, 10 laps: 1. B15 Mat Pascoe, 2. RK3 Matthew Williams, 3. Q15 Gavin Northfield, 4. N3 Tania Smith, 5. T44 Trent Wilson, 6. RK4 Leigh Williams, 7. SB31 Travis Barron, 8. Q91 Ed Doherty, 9. Q22 Dale Christensen. Total Time: 2.25.190. Winning Margin: 0.489. Fastest Lap: 14.090 RK3 Matthew Williams. 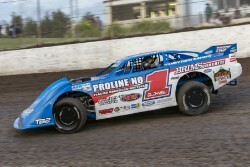 Heat Two, 10 laps: 1. Q26 Sean Black, 2. Q36 Darren Kane, 3. Q99 Mark OBrien, 4. GL39 Bob McCosker, 5. C6 Wayne Randall, 6. CR71 Shayne Lau, 7. SB12 David Musch, 8. C20 Nicholas OKeeffe, 9. C0 Justin Randall. Total Time: 2.27.584.Winning Margin: 0.350. Fastest Lap: 14.497 Q36 Darren Kane. Heat Three, 10 laps: 1. T44 Trent Wilson, 2. CR71 Shayne Lau, 3. N3 Tania Smith, 4. C6 Wayne Randall, 5. Q91 Ed Doherty, 6. Q22 Dale Christensen, 7. GL39 Bob McCosker, 8. Q99 Mark OBrien, 9. 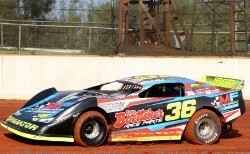 SB31 Travis Barron. Total Time: 2.29.821. Winning Margin: 3.650. 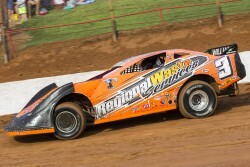 Fastest Lap: 14.759 T44 Trent Wilson. Heat Four, 10 laps: 1. Q36 Darren Kane, 2. Q15 Gavin Northfield, 3. SB12 David Musch, 4. C0 Justin Randall, 5. RK4 Leigh Williams, 6. B15 Mat Pascoe, 7. Q26 Sean Black, 8. Rk3 Leigh Williams. Total Time: 2.17.908. Winning Margin: 7.076. Fastest Lap: 13.447 Q36 Darren Kane. Heat Five, 10 laps: 1. RK3 Matthew Williams, 2. B15 Mat Pascoe, 3. Q36 Darren Kane, 4. Q26 Sean Black, 5. C0 Justin Randall, 6. RK4 Leigh Williams, 7. Q15 Gavin Northfield, 8. SB12 David Musch. Total Time: 2.26.021. Winning Margin: 1.238. Fastest Lap: 14.207 B15 Mat Pascoe. Feature, 40 laps: 1.Q36 Darren Kane, 2.B15 Mat Pascoe, 3.C6 Wayne Randall, 4. Q26 Sean Black, 5. Rk3 Matthew Williams, 6. N3 Tania Smith (39), 7. SB12 David Musch (39), 8. GL39 Bob McCosker (38), 9. Q22 Dale Christensen (37), 10. Q91 Ed Doherty (37). DNF: Q15 Gavin Northfield (15), C0 Justin Randall (15), T44 Trent Wilson (2), CR71 Shayne Lau (2), SB31 Travis Barron (2). Total Time: No Time. Winning Margin: 0.824. Fastest Lap: 14.123 Q36 Darren Kane. It may have been Wayne Randalls first event for the season, but you would not have known it, as he took all before him, in winning round four of the Brims Concrete Super Sedan Series, supported by B&J Car Sales at the Rockhampton Showgrounds. After six qualifying heats, six drivers had been successful in the qualifying heats, with Randall taking the opening heat convincingly before Darren Hawkings won narrowly in heat two. Leigh Williams delighted the home crowd by downing Matt Williams by 0.333 in the third heat, while Queensland Champion, Matt Pascoe would also win a close one, when he accounted for Wayne Randall in heat four. Darren Saunders only just held on to defeat Gavin Northfield in heat five before Matt Williams convincingly one heat six. After six qualifying heats, Randall had amassed the most points (87), while Northfields consistency was rewarded finishing second with 79 points. Matty Pascoe, Matt Williams, Darren Hawkings and Leigh Williams all finished in the top six, and faced a crucial marble draw for starting positions in the 30 lap main event. Randall drew the number one marble, and would be joined by Hawkings on the front row, with Matt Williams and Gavin Northfield securing second row starting positions, while Matty Pascoe drew five, while Leigh Williams qualified sixth and drew the number six marble. In a rather uneventful race, Randall would lead every lap of the main event, with Matt Williams initially moving to second place, but along with Darren Saunders were the only two drivers not to complete the distance, both retiring on lap fifteen. As a result Hawkings moved back to second place and at the same time, Matty Pascoe made a decisive move, passing Northfield to take third place. Behind Northfield, David Musch was making some progression through the field, moving to fifth place after starting from position eight. Meanwhile, Randall was a quarter of a lap ahead of the remainder of the field, in a highly convincing display, downing Pascoe who passed Hawkings in the concluding stages, with Northfield, Musch and Bob McCosker rounding out the top six, with not much separating the five drivers for the minor placings. Round five of the series will be held at Kingaroy on Saturday, 8 December 2018.